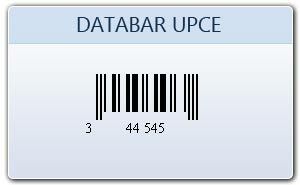 Databar UPCE code is short form of UPC number. It reduces the data length from 12 digits to 6 digits by compressing the extra zeros. 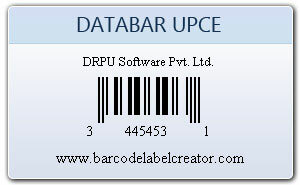 Bar code labels designer program is useful to create bar codes stickers, tags and coupons in few steps. 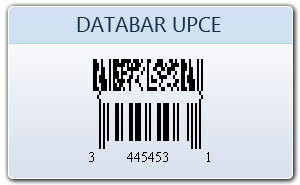 With the help of our bar coding system you can design customized linear/2D bar codes stickers, tags and coupons for your company product.